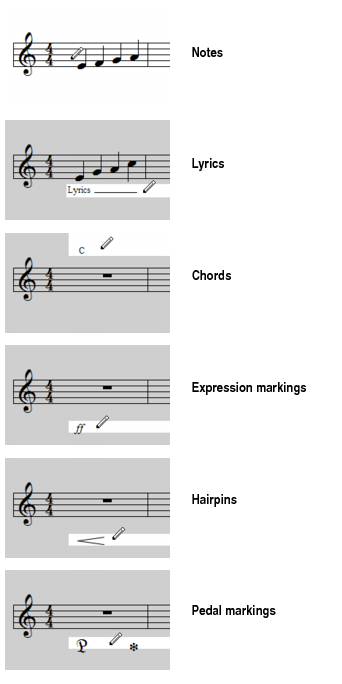 The global tools let you edit a project by manipulating the elements of standard music notation. Using these tools, you can create and edit notes, chord symbols (guitar fretboards), pedal marks, expression marks, hairpins, and lyrics. When drawing events in the Staff view, the staff is shaded to indicate where the current event type can be drawn. Events can only be drawn where the background is white. Figure 510. The selected event type can only be drawn where the background is white.